Well, looks like my next batch of models have arrived! 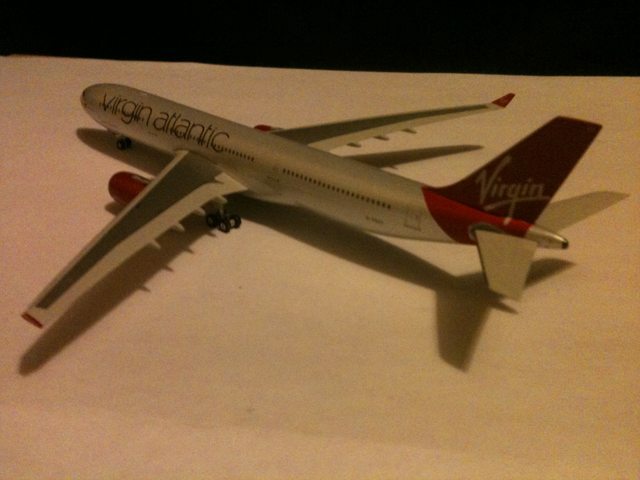 First up, A Virgin Atlantic A330-300 by Phoenix. This model is mostly very well made, and I like the little detail of the ‘bulge’ above the forward cabin. I don’t like how the cockpit windows seem quite short and wide though, the Gemini A332 and A346’s seem to be in much better proportions than this Phoenix model’s. There is also the discrepancy in the base colour between this and Gemini’s models, however I actually prefer the colour of this aircraft. I don’t understand why both manufacturers seem to be using sparkly silver/beige-y paints though , the real aircraft is White, I’m sure (even if it does look very slightly silver here http://www.airliners.net/photo/Virgi…afebb3ff896e68, this is what it looks like in most photos: http://www.airliners.net/photo/Virgi…afebb3ff896e68 ). Then again, sparkly models do look nice! The bend seems to be right on the thinnest part of the gear too, so I’m pretty nervous about it. 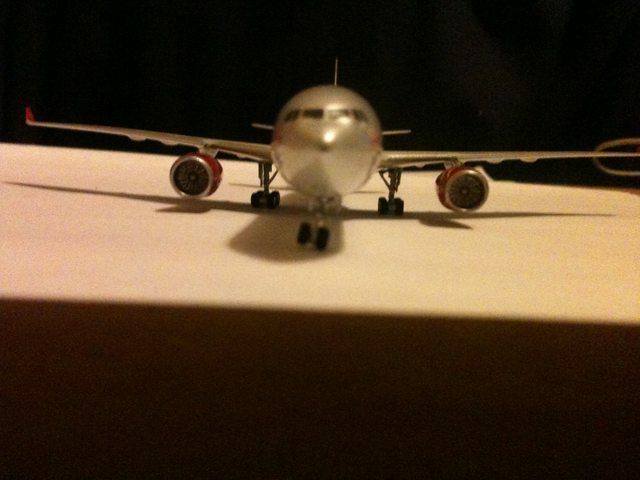 It does feel a bit more solid than my Gemini BA B777-300ER whose wheels broke off after standing on them for a week. 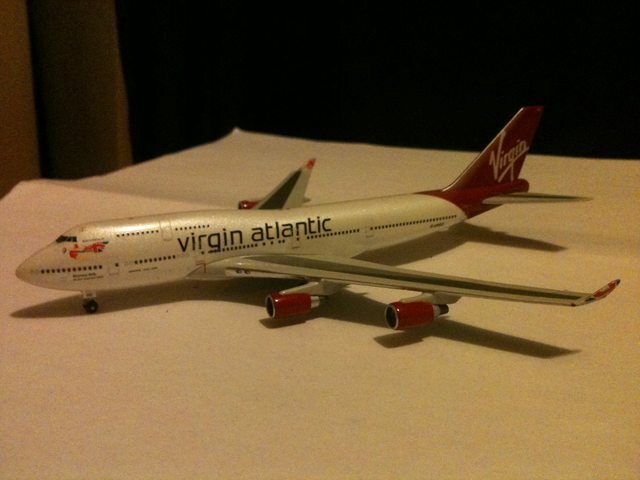 Fortunately Airspotters were great about it and will be replacing it; I sent the damaged one back today. I’ve e-mailed the Aircraft Model Store about it, hopefully things will work out but for now G-VSXY is on a stand; I don’t trust it on its own gear! Picked this one up cheap with the VS A333. 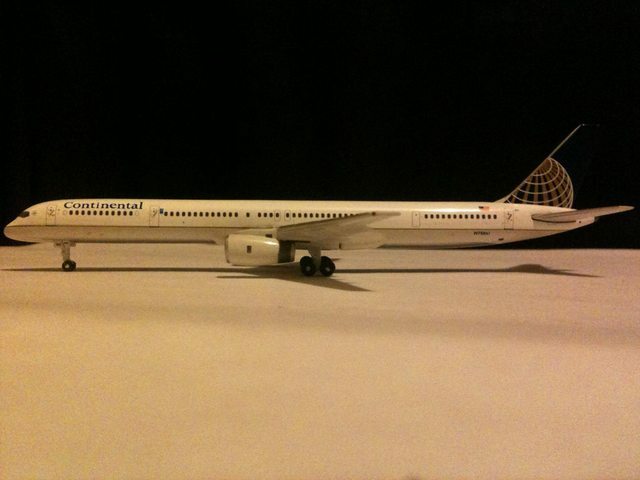 A nice little model, and freakishly long for a narrowbody! 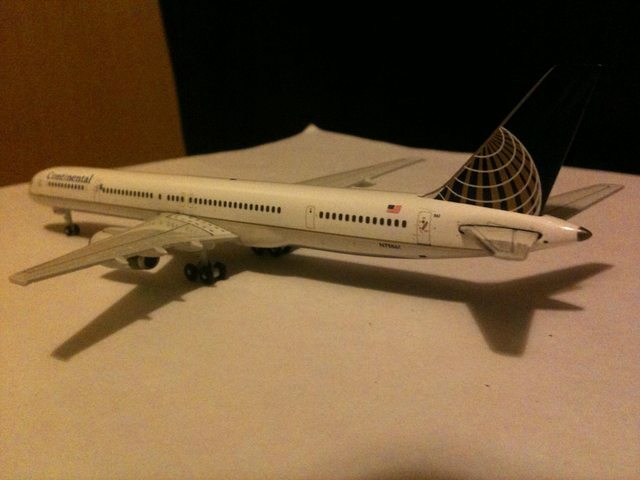 I like it though, and for the sakes of canon with the rest of my collection I’m saying that United’s management just forgot to paint this one aircraft! 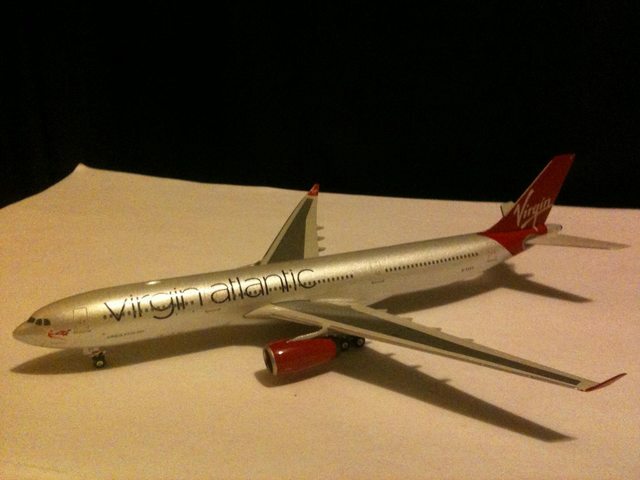 Massive thanks to Jetboy2012 from the Scale Aircraft Forum for this wonderful model! 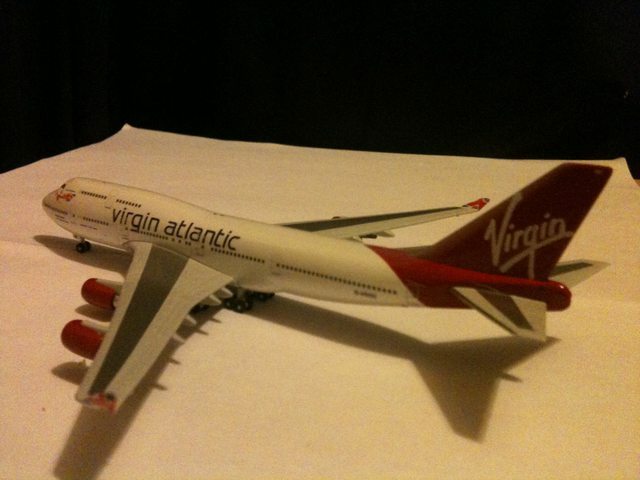 I’m glad to say she arrived safely and certainly looks the part in my new Virgin Collection! And as always, here is a picture of all my 1:400 models. 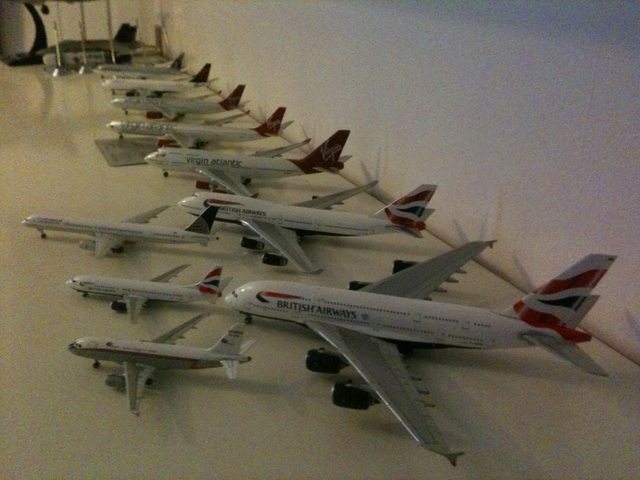 I’ve actually re-arranged them from this since there was no space for my SkyMarks A380 anymore, but thankfully having an abundance of stands really made things a lot easier. I did like this configuration, hopefully when I get a diorama made I can have some aircraft like this and some parked at stands. Previous Post A Surprise Arrival!